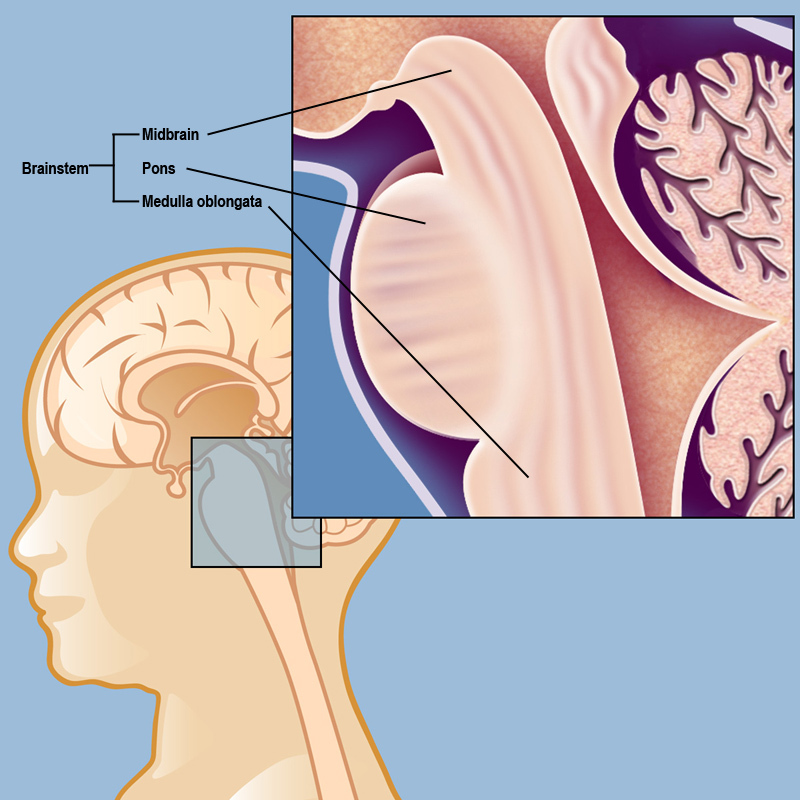 The brainstem consists of three parts: The midbrain, the pons, and the medulla oblongata. A glioma is a brain tumor that arises from glial cells — the cells in the brain that support and protect the brain’s neurons. Gliomas can develop in many different locations in the brain, but when one develops in the brainstem, it’s called a brainstem glioma. The midbrain, which is the upper part of the brainstem. The medulla oblongata, the lower part, which connects to the spinal cord. The pons, which is the middle part between the medulla oblongata and the midbrain. Brainstem gliomas tend to occur during childhood and adolescence and account for approximately 15 percent of childhood brain tumors. 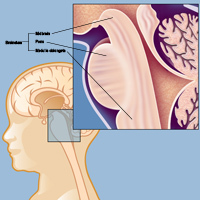 Brainstem gliomas are rare in adults. Approximately 80 percent of brainstem gliomas are diffuse intrinsic pontine glioma (DIPG), which has a very poor prognosis. DIPG, also commonly known as a pontine glioma (located at the pons part of the brainstem), or infiltrative brainstem glioma, is not surgically accessible and is typically treated with radiation therapy. 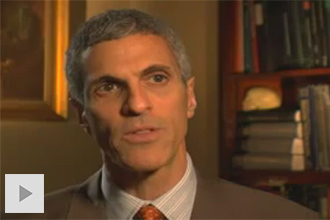 (More about DIPG.) The other 20 percent of brainstem gliomas may be good candidates for surgical intervention and have better prognoses. Reviewed by: Zhiping Zhou, Ph.D.